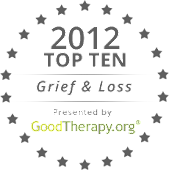 “Disenfranchised grief” is defined as grief that is not socially accepted or acknowledged. I learned a lot about it in the AIDS community. Thursday, December 1, is World AIDS Day, this year marking the 30th anniversary of the pandemic. I worked in the AIDS community in Chicago in the late 80’s/early 90’s, after volunteering for a while to raise money for much needed services. If you had told me in 1981 that 30 years later we’d have no cure, I wouldn’t have believed you. Scientists always seemed to be “closing in on” a cure. If you had told me in 1981 that in addition to having friends who died within weeks of their diagnosis, that I would also have friends who have been HIV+ for over 25 years, I wouldn’t have believed that, either. No one lived that long - months, maybe years if they were extraordinarily lucky - but decades? I would’ve thought you were nuts. Or just cruel. More than 33 million people now live with HIV/AIDS. 2.5 million of them are under the age of 15. In 2009, an estimated 2.6 million people were newly infected with HIV. 370,000 were under the age of 15. Every day more than 7,000 people contract HIV—nearly 300 every hour. In 2009, 1.8 million people died from AIDS. 260,000 of them were under the age of 15. Sub-Saharan AfricaMore than two-thirds (68 percent) of all people living with HIV, 22.5 million, live in sub-Saharan Africa—including 92 percent of the world’s HIV-positive children. In 2009, an estimated 1.8 million people in the region became newly infected. An estimated 1.3 million adults and children died of AIDS, accounting for 72 percent of the world’s AIDS deaths in 2009. Asia and the PacificIn Asia and the Pacific, more than 360,000 people became newly infected in 2009, bringing the total number of people living with HIV/AIDS there to more than 4.9 million. AIDS claimed an estimated 300,000 lives in the region in 2009. CaribbeanAn estimated 17,000 people became infected with HIV in 2009 in the Caribbean, bringing the total number of people living with HIV/AIDS to 240,000. An estimated 12,000 people died of AIDS in 2009. Central and South AmericaThere were an estimated 92,000 new HIV/AIDS infections and 58,000 AIDS-related deaths in Central and South America in 2009. This region currently has 1.4 million people living with HIV/AIDS. Eastern Europe and Central AsiaSome 130,000 people were newly infected with HIV in 2009, bringing the number of people living with HIV/AIDS to 1.4 million. HIV/AIDS claimed 76,000 lives in 2009. Western and Central EuropeIn 2009, there were 31,000 new cases of HIV, bringing the number of people living with HIV in Western and Central Europe to 820,000. An estimated 8,500 people in these regions died of AIDS in 2009. Source: UNAIDS Report on the Global AIDS Epidemic 2010; Kaiser Family Foundation. Perhaps you know people who have died of AIDS, or are living with HIV. Take a moment on Thursday to remember them, and how the stigma of this horrible disease added to their pain, and maybe yours, too. I deeply appreciated your blog both for its sensitivity and he timely reminder that toough AIDS and HIV are no longer, at least in the West, the news topic they once were, they remain serious health issues. I am honored that the concept of "disenfranchised grief" has been useful in your work in this area. Thank so much for your generous support!